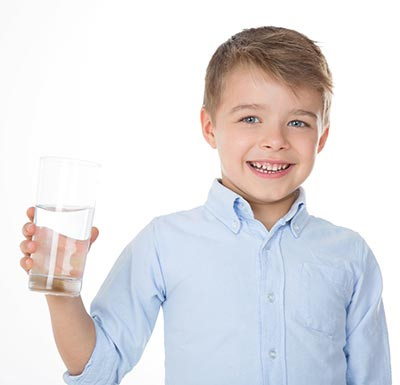 If your water has the rotten egg smell or white scale buildup you probably have hard water that contains sulfur and is not being treated successfully. If left untreated this problem can cause permanent damage to your homes plumbing, fixtures, appliances, and your clothes. This leads to increased cost for maintaining or prematurely replacing your appliances and/or fixtures. Our ENVY™ Series Sulfur Eliminator & Water Softening System is chemical free and provides the safest, and most efficient way possible to remove sulfur and hardness from your well water. The ENVY™ Series Sulfur Eliminator & Water Softening System provides top of the line results when it comes to quality water in your home. 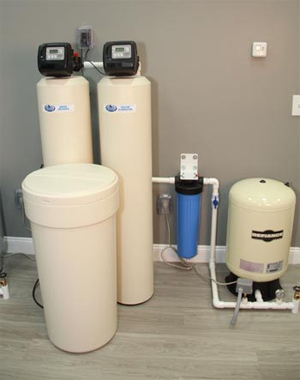 This system will remove sulfur without using harmful chemicals, and the ENVY™ Series Water Softener will eliminate hard water that damages pipes, appliances, and stains fixtures. Water is treated at the point-of-entry to the home, extending the useful life of water heaters, coffeemakers, humidifiers, and household plumbing by as much as 30%. Provides clean, clear and odor free water. Stops orange iron stains from building up. Protects plumbing fixtures, pipework, appliances, and clothing. Eliminates the need for chemically treated water. Benefit: Lower running cost compared to  competitors. Feature: Pre-filter designed to remove debris. Benefit: Protects system to extend life. Feature: UV Covers to protect against UVA/UVB. Benefit: Protects filters from damaged caused by UVA/UVB. Benefit: No rotten egg smell or stains. Benefit: Allows for maximum efficiency by adjusting to usage to provide consistent quality. Benefit: No Chemicals to enter into the hose  pipework. Benefit: Reduces energy usage; compared to standard systems. Feature: Includes 6 months complimentary  maintenance. Benefit: No Hassle, Good Water.